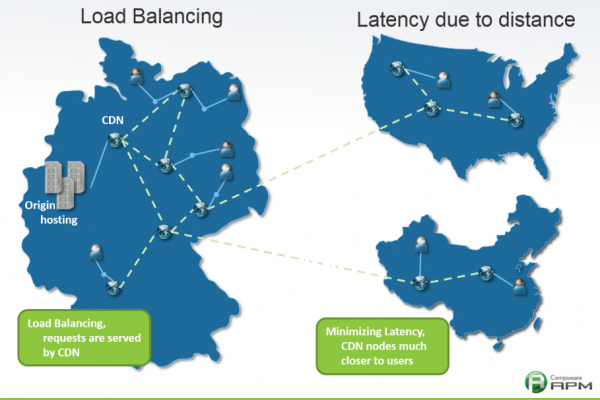 Before getting into the discussion about Content Delivery Network (CDN), lets brief about what CDN’s is all about, the offerings from CDN and Cloud computing. The globally distributed group of servers or CDN’s in charge of rapid delivery of Internet content. Today, the rapid delivery of content, no matter what type of content you consume, starting from every articles on websites you browse, online shopping, youtube videos, social media feeds, every character of text you type, every image pixel and every thing that gets delivered to your PC or mobile browser. All this happens because of having an effective and scaling CDN. CDN’s cut the annoying delays that occurs starting from the moment you request a web page till the page content appear on the screen. The purpose of the CDN is to shorten the delay duration impacted between you and the server that hosts the requested webpage or website. Content Delivery Network (CDN) have been there for the past couple of decades and still keep evolving as the Internet, web technologies and user requirements keep growing. There is also much research and development done as to what is next of CDN in the market The initial period of CDNs created a growing demand to infrastructure development, mirroring, and caching. Upcoming CDNs are focussed to be self configuring, self managing with primary focus on delivering Quality of Experience (QoE) with Quality of Service (QoS). With the increasing trend towards cloud computing, CDNs play major role in different cloud computing layers (SaaS, IaaS, PaaS, BPaaS). The next generation multi-purpose CDNs offer several advantages (Website Security, Load Balancing etc.,) beyond its innate ability to accelerate content delivery. The history of Cloud Computing rolls back to the year 1960, coined by Joseph Carl Robnett Licklider (J.C.R.L) an American Computer Scientist for ARPANET projects. The cloud in computing symbolize the flow charts that represent a process/algorithm. It was predicted in the Nov 14, 1996 in the internal Compaq analysis paper that enterprise software’s will change to web services and software’s will be part of internet feature and not hardware essential. Content Delivery Networks are built to distribute the same content from different servers based on the location from where it is requested. Cloud computing is hardware or software as service, it means you pay and get certain amount of resource and existing software. Cloud hosting service enables you to add unlimited resources to the system such as space and RAM to enhance your website growth. Selecting the best depends lot more on what type of organization you own. On-premise and cloud offer solutions based on certain key parameters that business demands. The following table examines the key parameters of an on-premises offerings to Small-to-Medium-Business (SMB) and Enterprises that cloud computing fail to address. 24x7x365 support and monitoring Monitoring systems can run 24×7, but having staff 24×7 can be very expensive. Understanding business You know your business well. You know which user, customer, or application is more important. Security Security is critical, and you know your assets and your people. Customization When you deploy it, you can do it any way you please, and can customize things, add plug-ins, as you see fit. The following table examines the key parameters of cloud offerings to Small-to-Medium-Business (SMB) and Enterprises that an on-premises fail to address. Understanding Compliance Cloud service providers engage teams that are dedicated to look into compliance that need to be met. Cost-model Security is critical. You know your assets and your people. Customization Cloud solutions operate on the basis of “you pay for what you use”. For example, you can get license for ten users and employ thirty users to work in three shifts. Today, the cost that organizations pay to move data from cloud hosted by one provider to another differ. The ingress and egress charges are based on the larger the data that they transfer from one cloud to the other with lesser GB price. There Are 5 Schools of Thought on AI — Which One Are You In?